RevCycle Intelligence reports on a new survey that healthcare organizations are losing revenue because they are failing to properly manage referrals and patient leakage. There’s a gap between priority and action. 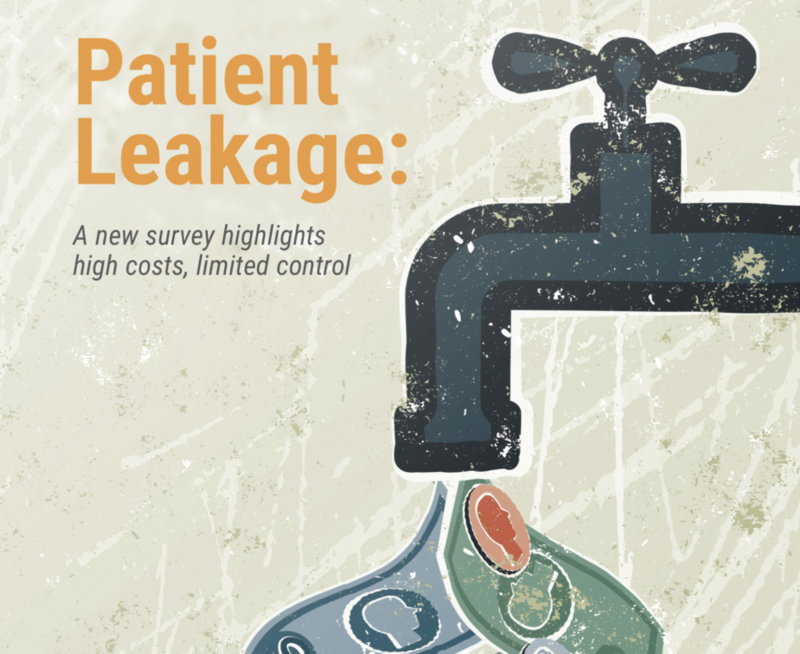 Some 87% of healthcare executives say patient leakage is a high priority, but 23% don’t track leakage and 20% don’t understand where and why it occurs. Failing to manage leakage has a high cost. Over 40% say they’re losing 10% or more of annual revenues, 19% are losing over 20% of revenues to leakage, and 23% don’t know how much they are losing. There are many hands but few owners. The responsibility for tracking and managing leakage largely resides in the C-suite but 69% say it is assigned to more than one person. Electronic Medical Records (EMRs) are the default options, but 19% of executives aren’t satisfied and 57% are only somewhat satisfied with their EMR’s referral management capabilities. Using tailored solutions built specifically to analyze and manage referrals is in its infancy but growing. Only 2% of executives today exclusively use a third-party solution but 19% plan to purchase one in the next year or two. “To survive, today’s healthcare organizations must navigate both the fee-for-service and the value-based world. That means they need to grow revenues while demonstrating better value to payers and taking on more risk,” the survey report stated. “At the same time, as organizations manage larger networks of physicians and facilities, they stand to lose considerable revenue and control when patients are referred to other networks or to poorer performing providers within their own network,” the report’s authors continued. Another instance where the emerging “retail” nature of healthcare – – with patients “shopping” for the best deal and expecting easy access to billing info – – demands that billing, collections, and health insurance company payments be tracked and easily reportable to an increasingly fickle consumer! Many providers are not delivering this kind of experience, particularly on the billing side — the numbers are a wake-up call.